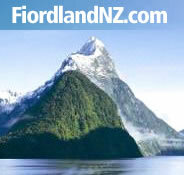 Fiordland and Te Anau are home to some of New Zealand’s leading hotel’s, with facilities including house bar, public restaurant, en suite bathrooms, swimming pools and spas. Most hotel’s in Te Anau offer superb mountain views of Lake Te Anau. When choosing a hotel, many are quality rated under the Qualmark standard, so look for the star indicators.